Faye Travers has turned other people’s ghosts into her career, but she carefully avoids her own ghosts. The business she owns with her mother requires her to go through the possessions of the recently deceased, as she helps the surviving relatives to dispose of the estate. Every now and then, she and her mother, Elsie, acquire an artifact from their own Ojibwe heritage, but Faye herself doesn’t feel particularly connected to her Ojibwe ancestors. In fact, she seems committed to silencing the voices of her dead, among them her sister and her father. She keeps herself distant from everyone, including her lover, who is grieving his own losses. When Faye is cleaning out a client’s home, she comes across a painted Ojibwe drum that sounds when she first comes near it. Almost immediately, Faye feels a mystical connection to the drum, and she decides to seek out its owner. From here, Louise Erdrich’s novel tells the story of the drum’s past and its future and of the people whose lives it touches. First, we go back a generation, to the man who made the drum, and the tragedy that led to its creation. Then, we move ahead to a disastrous event in the life of a family whose fate is bound up in the drum. I’ll admit to being a little tired of stories connected by an object—at least I’m tired of these books in theory. It seems like a silly device to me. Why not just tell stories without the MacGuffin? But when the stories work, they work. In The Painted Drum, they work. I was immediately interested in Faye and wondered why she was so closed off and what would make her open up. The other two stories are even better—so much better that Faye’s story suffers in comparison. There’s intense feeling, suspense, passion, and above all, deep sympathy for people in pain. Characters who seem impossible to love look different when we get inside their heads and see their regret and humanity. It’s a beautiful book. 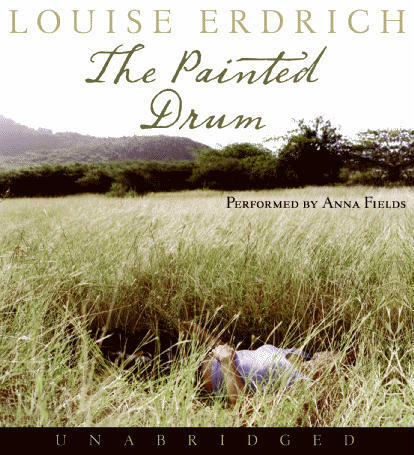 Erdrich’s crisp, clear prose is well-suited to audio, and the excellent narration by Anna Fields enhances the pleasure immensely. Fields reads the entire novel, adopting a slightly different voice for each story, two of which are told in the first person. I tend to prefer my audiobooks to be simple, plot-heavy, and repetitive, to make up for my mind’s tendency to wander as I listen. Erdrich’s novel is none of these things, but the audiobook held my attention throughout. There were a few threads that I wish had been better resolved, and as I said above, Faye’s story looks pretty dull in comparison to the others. I was pleased, however, that Erdrich avoided some of the more obvious tropes, such as having Faye return to her Ojibwe roots to find peace. She does take an interest, don’t get me wrong, but there’s no great emotional epiphany at a pow-wow or anything like that. The story is subtler than that—and better. 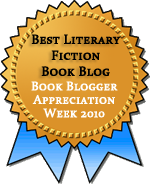 This entry was posted in Audiobooks, Fiction. Bookmark the permalink. I agree with you about stories connected by an object, so I’m glad Erdrich pulls this off so well. Anna Fields is also a favorite narrator, so this is going on my audible wish list. Thanks! I’m not sure I’d ever heard an audio by Anna Fields, but she was excellent, and I believe she read several of Erdrich’s books. I have found Erdrich to be seriously hit-or-miss, which makes such a positive review as yours quite valuable in knowing what I might like to pick up next. Also reassuring to know it avoids such obvious pitfalls as the easy equation of inner peace and reconnection with Native American roots. The only other Erdrich I’ve read was Love Medicine, which I liked a little more than this. In comparison, this novel is more straightforward, but it’s still very good. Which of her books have you particularly liked? I never read anything by Erdrich but this book sounds great. I usually don’t enjoy narrators that change their voice a little when they are reading different characters, especially when a man tries to imitate a woman’s voice. I don’t mind though if they change accents. I’m currently listening to Dracula and the narrator does a really good Romanian accent when he reads the Count’s speech. Erdrich is well worth reading, based on the two books of hers I’ve read. I’ve heard narrators who do a terrible job with different voices, but what I liked about this was that I wouldn’t have known she was “doing voices” if I’d heard her reading any of the characters in isolation. I’ve never read any Erdrich so maybe this is a good one to try.